We’re clearly on a fitness bender over at my place now. Well … *looks around in vain* … at least I am. No fear. Desserts, cakes, pastry, whatever coming up again soon what with a few birthdays and an anniversary looming at the end of February. I promised badass proper truffles too, didn’t I? I normally abhor baking with whey. Detest it. It tends to dry everything out like wind-burn on raw skin at a surf beach. Sometimes putting it anywhere near a source of heat will leave you feeling as though you’re chewing on the rubber tyres of your car. Some people adapt to that. I find it totally unacceptable. I don’t like chewing on rubber tyres. So my protein powders of choice for baking are typically of the pea and brown rice varieties. Pea protein is especially fabulous as it’s a pretty good substitute for flour, when mixed with other flours and nut meals. But I figure if you want bread to be truly bread like, a little whey might go a long way to getting that slightly drier wheat bread texture. 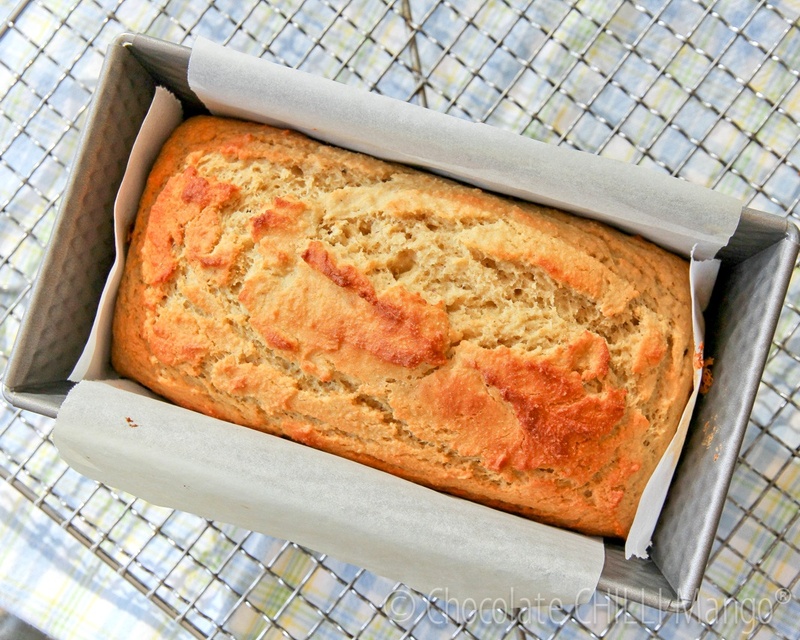 Add enough moisture to the dough and you can bake yourself a whey-better-than-acceptable loaf of protein bread that can be used for sandwiches, toast, whatever takes your fancy. 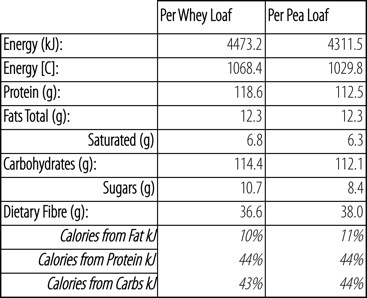 This loaf is quite high in protein and good carbs but low in fats and sugars. It also packs a punch in fibre. Psyllium is added to the loaf, both for the fibre content and because it can act a bit like gluten in a gluten-free loaf, helping the texture to open up a bit. Did you know that? No? Neither did I. Now we do. Good for us! If you prefer a softer crumb, I give directions below for a version using pea protein in place of the whey. If you wish to make this dairy-free, you can replace the yoghurt with soy or coconut yoghurt or coconut cream. Just remember that this will impact on the fat and carb content as well as the overall amount of protein per serve. If you cannot source an unflavoured whey protein, try to choose a neutral flavoured whey such as vanilla. Be warned, though, that it will be sweetened and so that might impact on the flavour and suitability for use in savoury sandwiches etc. It’s all gluten-free and suitable for those of us on low fructose/fructan diets. Fills you up but doesn’t bloat. Important before and after a workout, yeah? 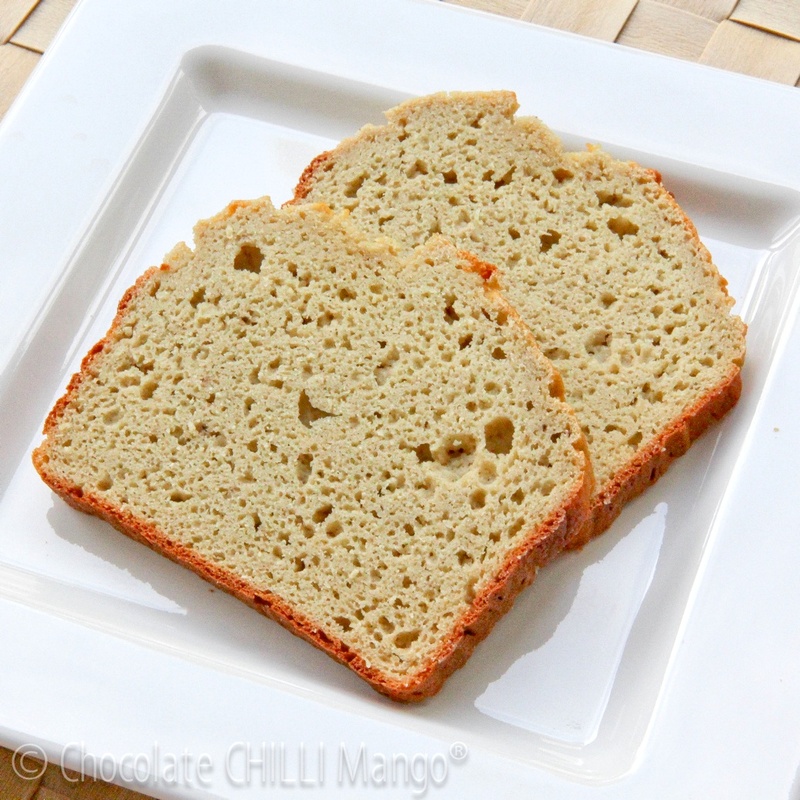 You can easily double the recipe and bake it in a 23cm x 11cm loaf tin or mold. Place the dry ingredients into a large mixing bowl. Whisk together the egg whites, and yoghurt. Add the liquid ingredients to the dry mixture and mix until you get a sticky batter. Bake for about 30 – 35 minutes until golden and risen, and a skewer inserted in the centre comes out clean. Remove and cool on a wire rack before turning out. 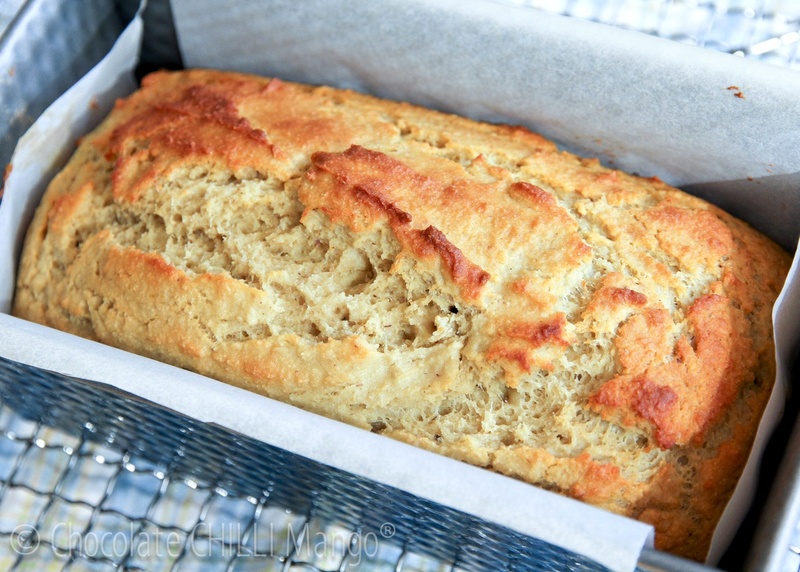 This loaf keeps, wrapped in foil or a freezer bag, in the fridge for several days at least. You can also freeze it. If freezing, it’s easier to slice the loaf before freezing. Proceed as per the recipe above. If you make any substitutions for the ingredients, note that the macros will change.